Thanks for this very interesting contribution – reading your comments on Collingwood was very helpful, and reminded me of teaching him in a course on historical methods some years ago! I agree that he is neglected today, and that this is a pity when he often raises questions about our underlying assumptions on method. I particularly like his image of ‘interrogating’ the sources – I asked my students to imagine getting the source in a corner of the room and not letting it go until it answers! He is also really good on the sheer range of what could potentially count as a ‘source’. Thanks for the comments. I too think we wrongly neglect Collingwood. Like you I find him useful in thinking about sources—what constitutes sources and how to interpret or understand those sources. I am rereading parts of his An Autobiography now in preparation for a reading group this week. In both works I appreciate how he shifts the focus from our assumptions to the historical actor’s meaning. Propositions cease to have meaning in themselves but rather only as the answer to a very specific question articulated by the historical actor. It seems to me that if you take Collingwood seriously, you can’t wander off in search of terms that then string together into a story, for each instance of those terms quite likely meant something different for the actors who used them. Adrian Wilson makes some useful points about Collingwood in the collection of essays he edited, Rethinking Social History: English Society 1570-1920 and its Interpretation (Manchester, 1993). He appropriates some points made by RGC and matches him up with Geoffrey Elton to hammer home the notion of concept-criticism, the endless quest for anachronism in which historians of science engage. Adrian is particularly good on the problem of document criticism and source criticism. 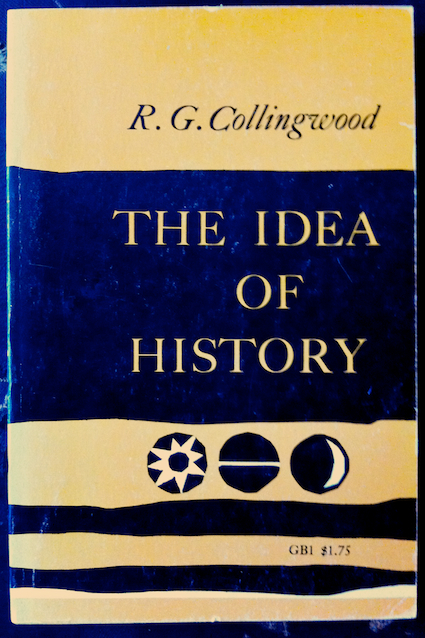 One of the best critical analyses of Collingwood that I’ve seen, which includes discussion of where he might lead the unwary astray, is William H. Dray, History as Re-Enactment: R.G.Collingwood’s Idea of History (Oxford, 1995). The author tackles some of the epistemological and ontological problems, as well as the metaphysical position that attempts to join them. Or not. 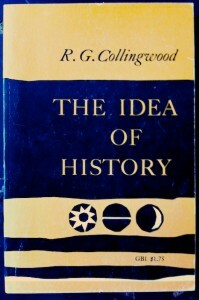 He also considers Collingwood’s failure to recognize some of the most interesting historical questions, although I think much of the criticism is anachronistic — RGC could hardly be expected to anticipate all of our current interests.